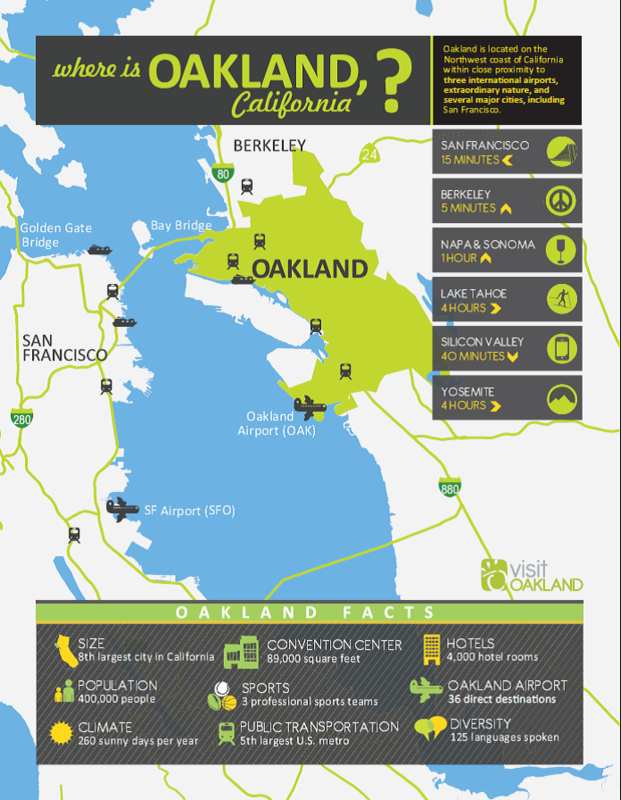 Oakland is the seventh largest city in the state of California and covers 54 square miles. the Oakland Athletics, and the Golden State Warriors. The Port of Oakland is one of the five largest container ports in North America and one of the top 20 worldwide. The Port of Oakland controls over 19 miles of shoreline and owns the Oakland International Airport. years of age or older. The median age is 33 years.